To mark the new CD-book release of the ‘French opera’ series, Bru Zane Classical Radio broadcasts on Sunday 2 September at 9 p.m. Le Tribut de Zamora (1881), opera in 4 acts by Charles Gounod (1818-1893). 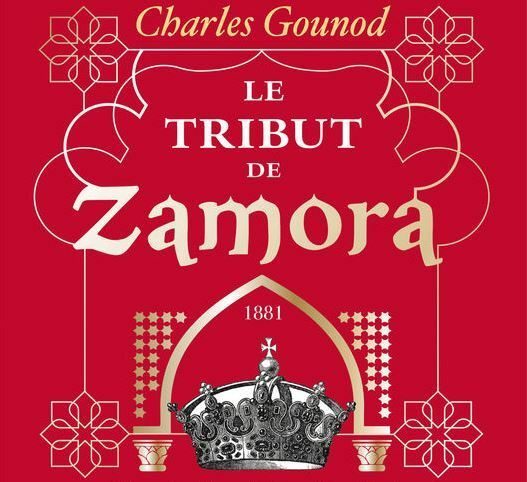 After Polyeucte (1878), Gounod tackled the operatic genre for the last time in 1881 with what is probably his most ambitious work, Le Tribut de Zamora. The action takes place in ninth-century Spain – from Act Two onwards, on ‘a picturesque site on the banks of the Guadalquivir before Córdoba’. Here Gounod – finally noted more for his neoclassical pastiches (Le Médecin malgré lui and Cinq-Mars) and his ardent Romanticism (Faust and Roméo et Juliette) – was given an opportunity to display his talents as an orchestrator and colourist in an exotic setting. He produced an epic in the tradition of French grand opéra, with numerous ensembles and showpiece airs. Despite an unequivocal success on its first run, despite the stirring national anthem ‘Debout! Enfants de l’Ibérie’, Le Tribut de Zamora sank into oblivion within a few short years. We can now appreciate in this opera precisely what certain detractors complained of at the time: the fact that we meet here once again the irresistible lyricism of Faust and Roméo et Juliette.